It’s the season for giving! Mabble loves being able to give back to our community and in that spirit we would like to share some of the great projects both Mabble and our team members are so grateful to have had a hand in. Below are some projects and organizations that we are proud of! Mabble worked with The Good Supply Co. to help them refine their branding and direction. The Good Supply Co provides goods that would otherwise go to waste to individuals who could use a little extra help by partnering with companies to secure general merchandise, food, appliances, home essentials, toys and more, that otherwise need to be shipped, repackaged, and shipped again. Contact Good Supply Co. for more information. Tax deductible donations can be made on the Good Supply Co. website. Your statement will reflect a tax deductible donation to River Rock Christian Fellowship. 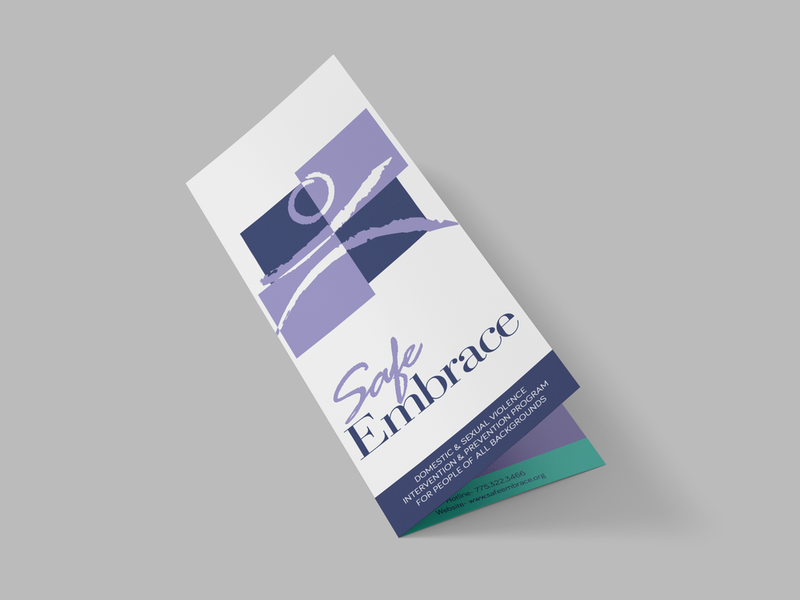 Mabble helped Safe Embrace by updating and refining their brochure design. Safe Embrace is a 501(c)(3) nonprofit corporation dedicated to educating our community and providing services to survivors of domestic and sexual violence. Please consider helping Safe Embrace provide compassionate services for victims of domestic and sexual violence by making a donation. This August Brenda, our web design specialist, had the opportunity to travel to Honduras with a team from Living Stones Church for a Living Water International Trip. During their time there, they drilled two wells to provide two communities with clean water. In these communities, they had the chance to teach hygiene lessons, play games with the kids (and yes they lost at soccer every time), and speak with the parents. Tax deductible donations can be made during their Christmas Gatherings at each service on December 23 at 9am, 11am, and 6pm or online during the month of December at lsgive.com and selecting the Reno Year End Gift designation. Have you found time to give back to the community this year? What are some of your favorite organizations that are doing great things for the area? We’d love to hear from you! We love helping companies develop a beautiful, unique-to-you strategy. CONTACT US today to learn more about creating a branding guideline!